Here you will find selected publications about ArcTron 3D projects. "Focus: New Media in Museums and Exhibitions". Here is a link to the TV report with some impressions of the event. 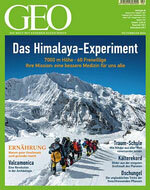 In the issue 02/February 2014 the GEO Magazine reports in an 11-page article about the current research work “3D-Pitoti” in Valcamonica. 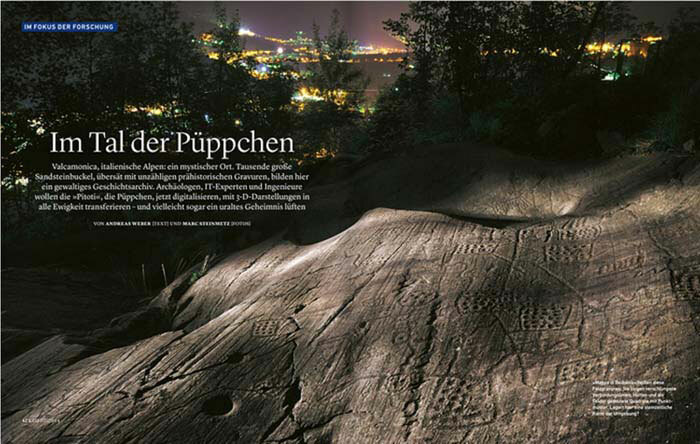 A huge archive of prehistoric engravings covers the sandstone humps in Valcamonica. Researchers want to use 3D technology to reveal the secret of the "Pitoti": the little puppets from the Stone Age.